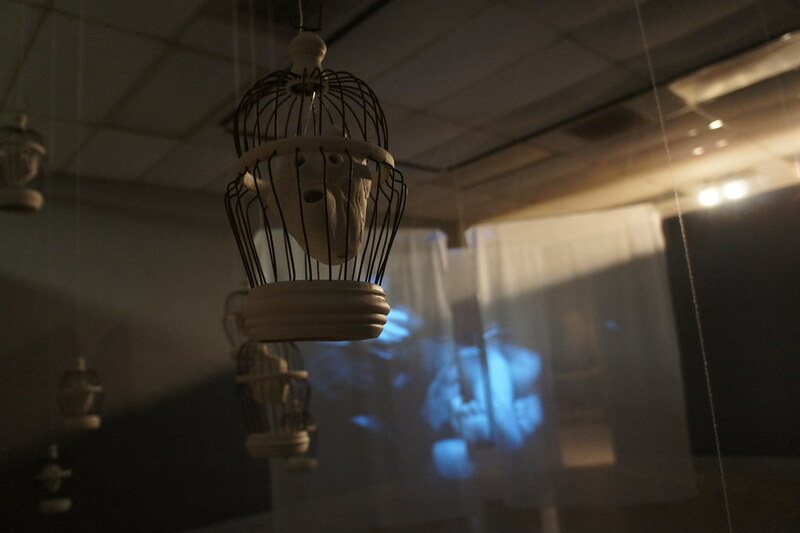 An installation of twenty-four suspended cages and a projected video montage. 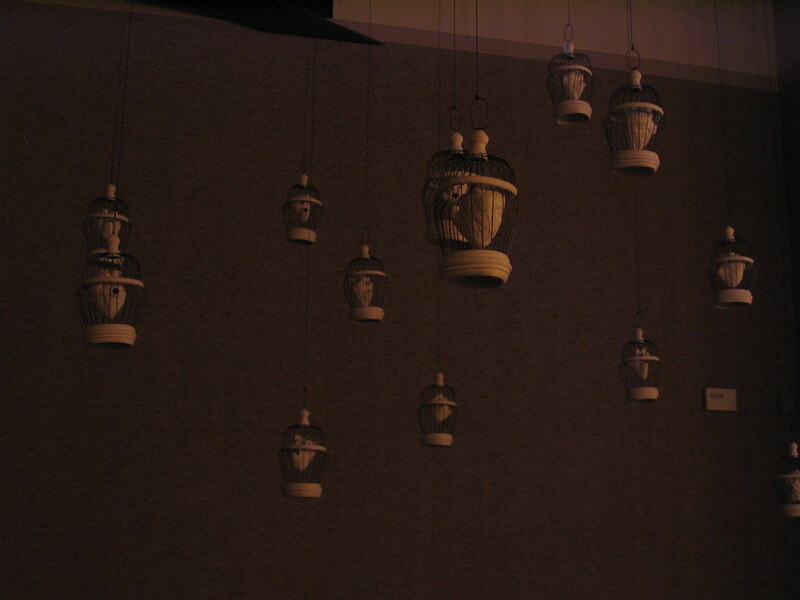 Each cage contains a porcelain object in the form of a human heart. The hearts represent the human spirit and symbolize mortality. 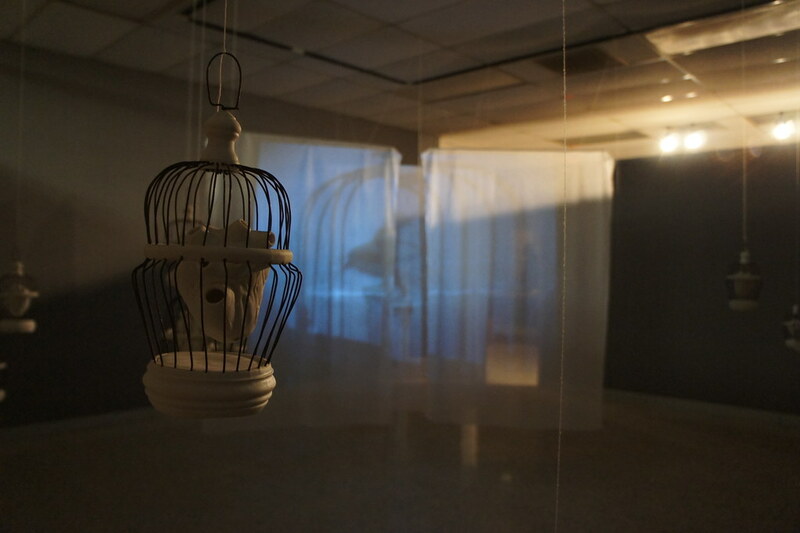 These porcelain hearts are placed in the cages as a reminder of how one holds onto what is painful out of fear of losing the sense of consistency and safety that one has grown to depend on over time. 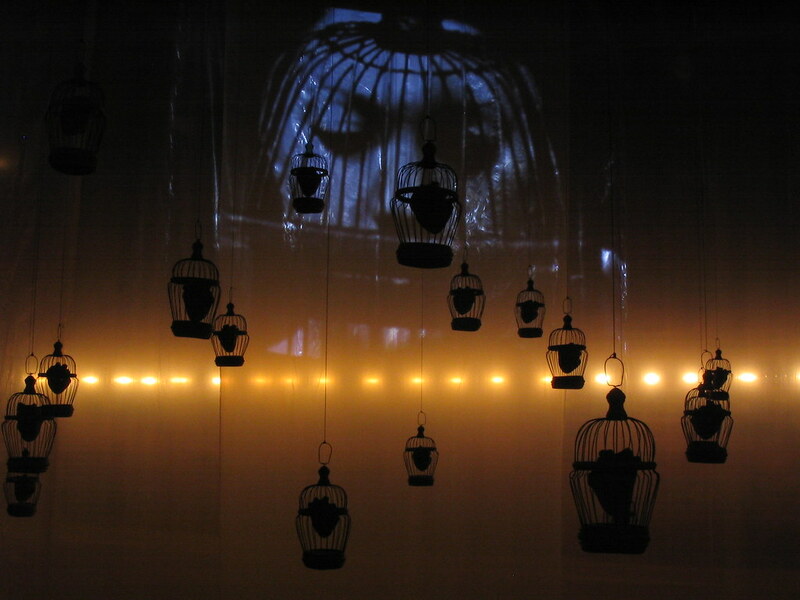 The cages are suspended behind a plastic screen that is draped from ceiling to floor, marking a circular area in the corner of the room. 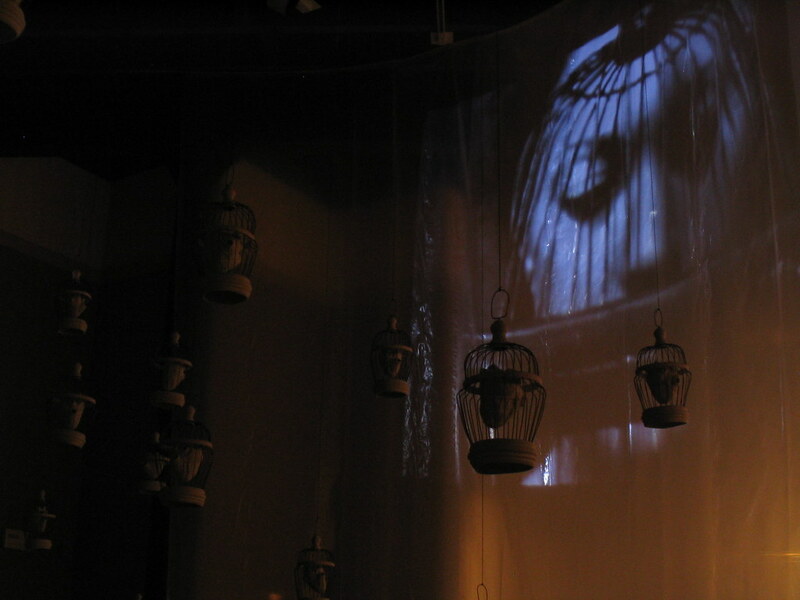 A silent video is projected onto the screen and suspended cages. 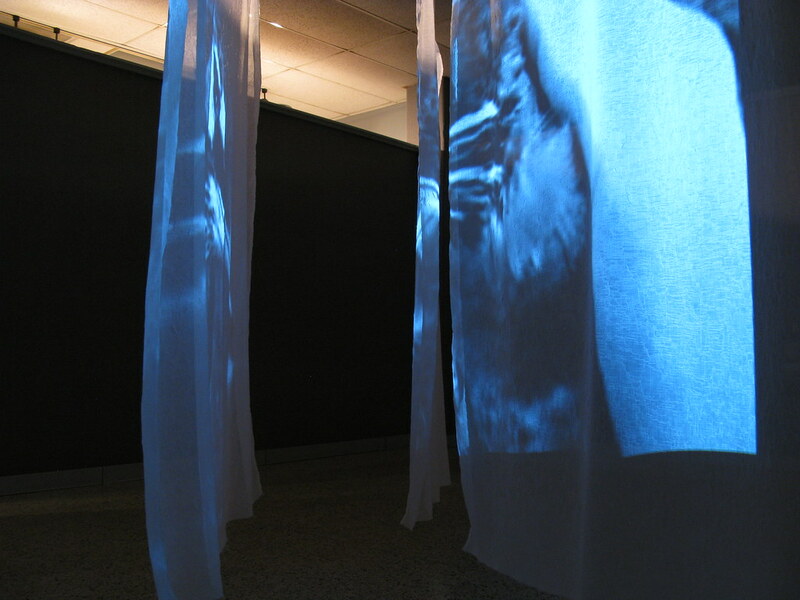 This area encloses the viewer and becomes a form of confinement. The video, 24, is a collection of imagery relating to mourning and the fear of impermanence. It depicts how one can become trapped and continues to be caged by the two. A sense of sorrow for what has passed is portrayed, and images flash like quick reminders of what is gone and cannot be repaired. The images represent memories that are painful and uncomfortable, yet cannot be forgotten. Each represented memory suggests the mourning for the self that died and how one can become trapped in constant mourning by the fear of further loss. 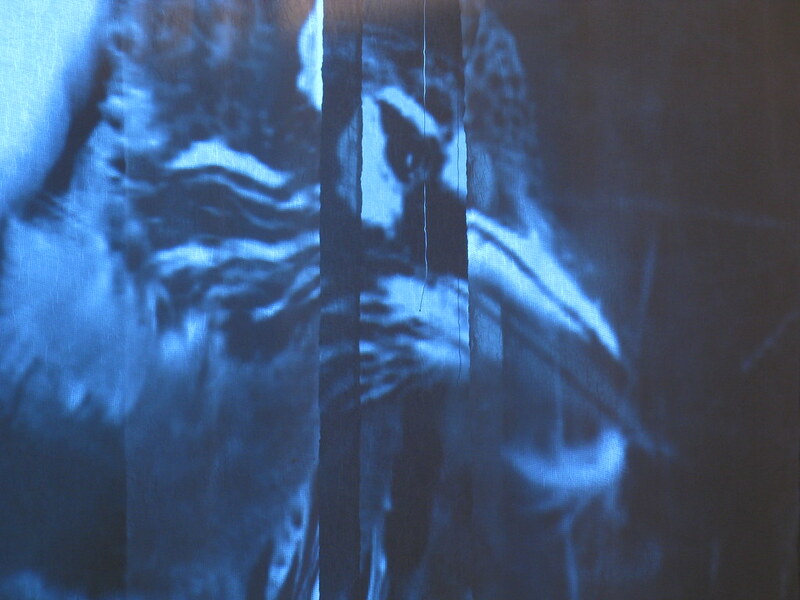 For this reason the video sequence is played continuously, and a twenty-four second segment that is devoid of any images punctuates each sequence.